Services at a Fair and Honest Price"
We pride ourselves on maintaining the highest ethical and moral standards in all our relationships with our customers, our vendors, and our community. Our technicians make an honest attempt to provide the best support to our clients and arrive on the job site as promptly as possible. We consistently evaluate our products and services to ensure we are delivering the best product we can at all times. We simply love working with and around security and enjoy the pleasure of being able to what we love everyday. Our vision is to make an immediate impact in the automobile, residential, and commercial locksmith industry by setting high standards through the high quality of work our technicians offer. Our exceptional customer service along with our competitive prices makes us the top locksmith provider throughout the greater Kansas City Metropolitan Area. 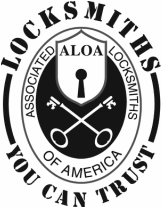 The Lock Shop is a family-owned security company that has been servicing the Kansas City Metropolitan area since for nearly 20 years. We offer lock installation, lock repair, and installation of all types of locks. We carry locks for all of your security needs. We provide all types of locksmith solutions for meeting the varied needs of our clients. Whether you're located on your residential premises, at a commercial building/office, or needing emergency lockout services in the middle of night, The Lock Shop can help. From long time relationships with high security, weather resistant manufacturers to effectively meeting construction constraints we have the answers. Probably the most common scams are locksmiths who advertise a $19, $14.95 or even a $9 service charge. You often see this on the Internet: $15 Kansas City Locksmith or $17 Service Call Locksmith. Q: Does anyone really believe a locksmith will come out to their car and open it up for a $20 bill in the middle of the night? A: Of course not. You will rarely receive any lockout service for less than $65 (National Average in 2012). If they cannot quote an exact price over the phone, then just hang up and call someone else. You are dealing with a scam company. This will be true, 100% of the time. From the moment you call, you will remain updated on the arrival time of the technician and the cost estimate. Our technicians use the latest technological devices, state-of-the-art machinery and the most up-to-date sophisticated locksmith tools to ensure your locksmith needs are resolved quickly and professionally. Our locksmiths arrive in an easily identifiable company van fully equipped to handle a wide range of auto, residential and commercial locksmith services! Our car key experts can make keys for almost any make and model of car, in addition to programming transponder keys and remote keys! We have great prices with great customer service and you benefit from our quick response time, which is the time from which your call is received until the time that your locksmith is dispatched. Our technicians guarantee the highest quality of work at fair and honest prices! We offer a 90-day guarantee on all of our work! !